Improvising the Divine: the Music of Tom Moran premieres at Pittsburgh Filmmakers on July 7, 2018! Watch the premiere of the 1-hour indie, zero-budget documentary by Spinning Goat Productions about the musical journey of Pittsburgh musician, Tom Moran. Tom’s 4+ decades of music-making, his art, and influences will be presented for your viewing – and listening – pleasure. Learn about the guitar, banjo, oud, and sitar music that Tom makes as he travels from rock to punk to bluegrass to Middle Eastern and Classical Indian music – and every fusion in between. Pittsburgh Filmmakers’ Documentary Salon program is graciously hosting this FREE screening! Check out the flyer Tom made for the event! New trailer for the recently completed 1 hour documentary about Tom Moran and his music. Improvising the Divine: the Music of Tom Moran will screen in Pittsburgh this summer! Stay tuned for details. 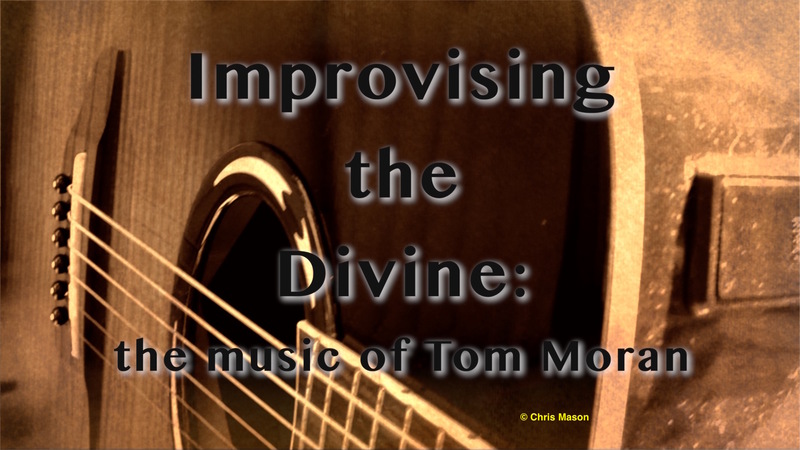 Improvising the Divine: the music of Tom Moran documentary is finished! After a lot of time, energy, editing, and re-editing…and re-editing again, Improvising the Divine: the music of Tom Moran documentary feature is complete! It is just under 1 hour long, and is filled with awesome music, musicians, and visuals. I’m editing a new trailer that better reflects the finished film. We are hoping to host a screening and music performance (including live improv to projected video) in late spring. More details to come! If you know of a venue interested in hosting a screening and solo music performance, please email spinninggoat@gmail.com or get in touch with Chris or Tom. Considering the subject matter, it seemed fitting to release this new music video for Doors in the Labyrinth’s new song “Death in Paris,” written in response to Trump pulling out the Paris Agreement a few months ago, on Friday the 13th. Hi, everyone, and Happy Fall! Just sending a short note to let you know the official trailer for the new documentary short Improvising the Divine: the music of Tom Moran is now available. Pittsburgh screenings are in the process of being discussed – as always, I appreciate any referrals for locations to provide screenings. I may also launch an online fundraiser to help with festival entry fees and public screening costs, and, possibly, a film and music fest! I’m thrilled to announce that the 35-minute short documentary “Improvising the Divine: the music of Tom Moran” is now complete! (Note: a 20 minute version was previously submitted to the Three Rivers Film Festival Shorts Program). More updates coming and I’m still cutting a cool trailer, but here are some production stills from the film below. Improvising the Divine is a short documentary profile of guitar, banjo, oud, and sitar player, Tom Moran, and his lifelong musical journey through rock, punk, bluegrass, world music, and every fusion in between. Through musical performances, storytelling, archives, and creative imagery, the documentary shows the power of music to awaken the creative spirit and transcend cultural barriers. Interviews with Tom Moran, Stephanie Vargo, and featuring J. Trafford. Original music by Tom Moran, Stephanie Vargo, The Deliberate Strangers, The Five, J. Trafford, Cousin Emmy & The Stanley Brothers, Elizabeth Cotten, Hazel Dickens, and Hamza el Din. Additional video courtesy of Larry Rippel. Improvising the Divine will take you on a musical journey, both worldly and otherworldly. A homage to Tom Moran’s long and interesting career, to creative, independent musicians, and to the special place music holds in our lives.